Welcome to the second edition of your new-look Governors’ News. We welcome your feedback on the autumn edition and hope the spring edition provides some interesting and informative articles. Our ambition remains to make this your document and to continue to focus on governors and our schools and academies across North Lincolnshire. Thank you to those schools and academies who have submitted an article for this edition and we hope this inspires you to share your stories and good practice. Governors News has a wide audience so if you think there are any particular issues that need highlighting for sharing or discussion please let the team know and we will endeavour to include them in future editions. Please contact our editorial team (gov.bodies@northlincs.gov.uk) who are waiting to hear from you; the deadline for submission for the next edition is 25 May 2018. Alternatively, you may wish to contact your Governing Bodies Support Officer. A briefing for North Lincolnshire School Improvement Partners from January 2018. Increase the amount of outstanding provision in all phases of education. North Lincolnshire Annual Education Report 2016/17. 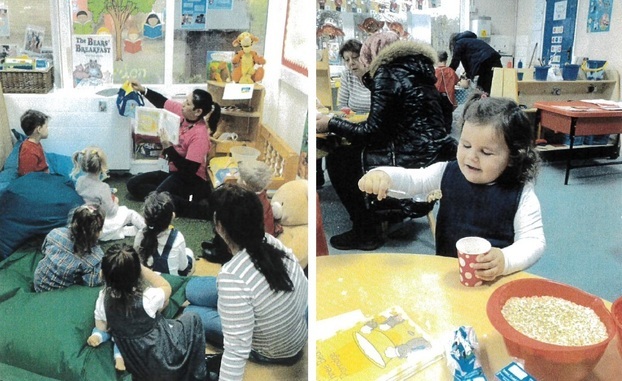 On Wednesday 24 January 2018, Enderby Road Infant School held a Goldilocks and The Three Bears themed open session for their current nursery children. Parents were invited to come along to join in with the fun. There were lots of activities, which included making porridge, making bear masks and size sorting. The children also had a special visit from Lili Hooton from the Words Count Team who shared the story with the children using exciting props. It was a wonderful morning and everyone had a lot of fun. The team had had lovely feedback from parents who came. Governing bodies have a duty of care to school staff and should ensure their health, safety and wellbeing at work. This includes ensuring there are measures in place to prevent staff from working excessive hours and engaging to identify and tackle any issues. The governing body is directly responsible for performance managing the head teacher and workload: wellbeing should form part of these discussions. Governors and trustees should also assure themselves that staff at all levels are being supported appropriately. Creating a culture where staff wellbeing is promoted and prioritised is a key part of good governance. Figures obtained through a freedom of information request show that 3,750 teachers were on sick-leave for a month or more during the 2016-17 school year as a result of stress and mental health issues: the equivalent of one in every 83 teachers. The total number of sick days taken for these reasons in 2016 was 312,000. Governors should also consider whether strategies, policies and procedures sanctioned by the body will lead to additional workloads on staff and whether this is reasonable. Further information can be accessed in the Workload Challenge pamphlet on the DfE website. The Consortium for Research into Deaf Education (CRIDE) recently published a report from their annual survey on education staffing and service provision for deaf children. The report revealed that the vast majority of deaf children (78 per cent) attend mainstream schools with no specialist provisions and six per cent attend mainstream schools with resource provisions. Governors should be aware that their schools are likely to have one or more pupils with hearing problems and all governing bodies should ensure that adequate provisions are in place for pupils who require it and that the SEND policy is appropriately worded. Education providers have a duty to make reasonable adjustments to ensure that deaf CYP are not at a substantial disadvantage when compared with their peers (Equality Act 2010). Schools should not wait until a CYP falls behind before additional support is provided. There is a huge amount of evidence to show that deaf CYP under-achieve unless schools are proactive in providing a fully inclusive environment. The North Lincolnshire Hearing Support Team is a small team of teachers of the deaf and specialist support assistants who work with children and young people aged 0-25 and the professionals who support them. We offer advice to schools and other educational settings about the specific needs of each individual child or young person with a hearing loss and the strategies that the school should use to support them to achieve their full potential. Depending on their age, a CYP might need support to check that their aids are working. At least one named person should be available in school that is trained to undertake basic hearing aid checks and help a CYP to insert their hearing aids if necessary. A good listening environment is very important as it is very difficult for a deaf or hearing impaired CYP to listen to speech in a noisy or reverberant environment. A more ‘deaf friendly’ environment can be created by having soft furnishings, carpets, curtains or blinds fitted to reduce reverberation. Noise levels can be improved by switching off unnecessary noise, for example, background music that isn’t part of the lesson, an OHP that isn’t in use or by closing doors and windows. Position the CYP with their back to a window so that the light illuminates the teacher’s face which makes lip-reading easier. Lip-reading is very difficult and tiring because many speech sounds look the same. If the teacher stands with their back to a window, their face might be in shadow and difficult to see. Position the CYP near to the teacher or person speaking because hearing aids work best at up to 2 metres. Use lots of visual prompts such as pictures, real objects, key words on the board or written notes to support a lesson. Listening for a deaf or hearing impaired CYP is very tiring and it is easy to mishear words, particularly if the vocabulary is new or unfamiliar. Words that sound similar may be confused. Write instructions and tasks including homework on the board. If a verbal explanation of the homework is given at the end of the lesson, whilst everyone is packing away, it is likely to be misheard. Please contact us if you have any further questions about the needs of your deaf and hearing impaired learners or if you would like to arrange training. The hearing support team can offer bespoke deaf awareness training to schools and settings free of charge. 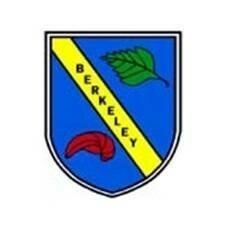 Contact: Hearing Support Team, Brumby Learning Centre, Grange Lane North, Scunthorpe, DN16 1BN. In such an unpredictable world we all know that it is impossible to make detailed plans for unexpected critical incidents, we would all do the very best we could in dynamically risk assessing the situation at the time. 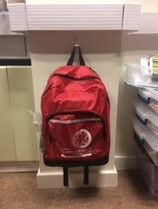 Here at Scunthorpe C of E we looked at what we would need if we ever had to evacuate our building and move the children to a place of safety and from this, the Red Bag Team was born. We selected a team of eight people in the building to have the responsibility of a Red Bag; location was the main criteria. Keeping the children safe in an emergency is obviously the main priority and we know that having a Red Bag is no replacement for common sense and quick thinking but, it does add another layer to the safeguarding of our children. The Government published an updated careers strategy on 4 December 2017, which sets out a long term plan to build a world class careers system that will help young people and adults choose the career that is right for them. It is statutory guidance and therefore must be followed unless there is very good reason not to do so. Every school and academy providing secondary education should use the Gatsby Charitable Foundation’s Benchmarks to develop and improve their careers provision. This statutory guidance has been restructured around the Benchmarks with information on what schools need to do to meet each one. Governors need to be aware that every school and academy needs a Careers Leader who has the energy and commitment, and backing from their senior leadership team, to deliver the careers programme across all eight Gatsby Benchmarks. Every school will be asked to name this Careers Leader. This requirement will be introduced in September 2018, by when more information and support will be made available. Careers guidance will continue to be considered during an Ofsted inspection. A successful careers guidance programme will also be reflected in higher numbers of pupils progressing to positive destinations such as apprenticeships, technical routes, sixth form colleges, further education colleges, universities or employment. 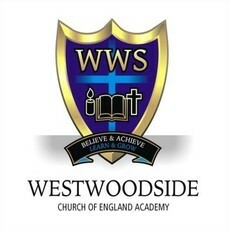 At Westwoodside Church of England Academy we are continuously looking at ways to identify and implement strategies to encourage every child to learn effectively. We aim to support children to become strong and resilient and able to embrace challenges in their future lives and seek to remove barriers that prevent progress. In response to the government’s green paper, ‘Transforming the Mental Health of Children and Young People’ (Dec 2017) we have become one of the first schools in North Lincolnshire to introduce the THRIVE Approach. Thrive is a whole school approach which uses specific ways of working with children to support social and emotional wellbeing to enable them to ‘thrive’. Through therapeutic intervention it supports children to understand their own emotions and emotional language. As a result children become resilient, self-assured and able to recognise and regulate their emotions. Significantly, it draws on the latest research from neuroscience, child development and attachment theory. Through creative play activities and the arts children gain key experiences to develop their self-worth; emotional well-being and to help them recognise and regulate feelings whilst increasing confidence. The intervention is based on positive behaviours and is carried out in a very nurturing manner which also supports and reflects our church school values and distinctive nature. A licensed THRIVE practitioner has been trained to profile and assess children in line with their developmental age. The children then receive a personalised and tailored package of support which has been received very positively. This can take place on a 1:1 basis or in a small group. Initial case studies already show an increase in well-being for the children involved and importantly this is reflected in the classroom. Staff, pupils and parents already recognise it as a positive and supportive approach. Our next step is to develop whole school staff training to support the whole team to understand ‘vital relationship functions’ which underpin THRIVE. In turn, this will enable all staff to provide the best support to vulnerable learners. THRIVE in our school enables us to assess children’s emotional well-being to the same degree as their academic achievement. The example below already shows improvements in a child’s emotional well-being from the commencement of THRIVE. 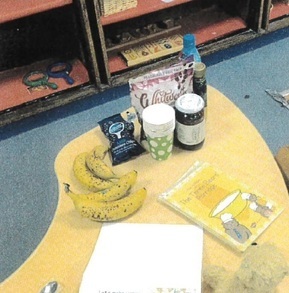 Teachers have also commented that this is echoed in the learning behaviours seen in the classroom leading to an improvement in progress and attainment. 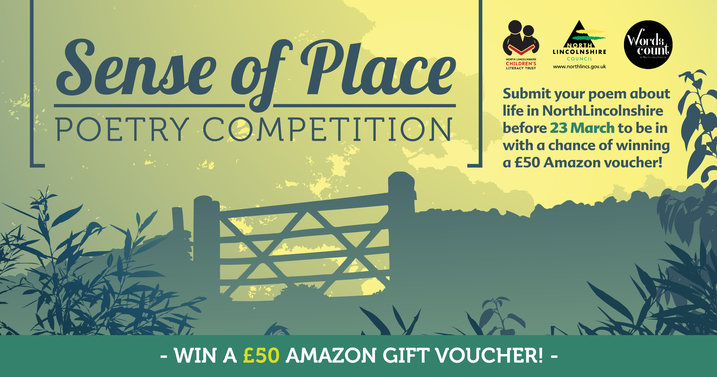 North Lincolnshire Council is inviting residents of all ages to write a poem celebrating life in North Lincolnshire for a new poetry competition. We would be delighted to receive entries from your pupils! The theme of the competition is ‘Sense of Place’; this has been kept broad to enable pupils to let their imaginations take flight! We are looking for a diverse range of poems, which celebrate everything great about North Lincolnshire. Poems could be about a favourite landmark or attraction that inspires them, for example. Winning entrants will see their poem published in a special anthology. Prizes will also be awarded to winning entries in three separate age categories; entrants aged five to 11, 12 to 18 and 18 and over. First prize in each category will receive a £50 Amazon gift voucher, with those in second and third each receiving a £10 one. To submit poems, please send them to wordscount@northlincs.gov.uk before the closing date of Friday 23 March 2018. Please be sure to include the child's name and age with the entry. Having been a governor for almost 30 years and a chair for more than 10 of those, I was asked by our headteacher if I would speak to all of our KS2 children in assembly on the theme of governance. I said yes without really thinking about it, I thought it would be a good opportunity to answer some of the questions I’m often asked when I’m around school: so what does a governor do then, why do you do it etc? I was given a date when I would be required and thought nothing more about it. Time passed and I saw a reminder in my diary that it was coming up; it had seemed a good idea at the time now reality was setting in! I sat down at the computer with a blank document staring back at me and waited and waited after a couple of hours I had written what I wanted to say but it was just too “wordy”. How could I tell them about governance without just standing up there talking. I slept on it and decided that I would involve the children, I looked at what I had written and broke it down into small chunks or bite sized pieces. For every piece I wrote a question, I ended up with around 12 questions and decided I would get children to ask me them so I could have a kind of question and answer session even though it was orchestrated. The day arrived and I duly turned up in plenty of time, all the questions were on separate pieces of paper to be given out to Y6 children, they were to be read out in order so as not to confuse my kind of prepared answers, I was determined not to read out answers so just had a few notes to keep me on track. The time had come, the hall was full of around 340 children years 3 to 6 and staff down both sides, no pressure then! I was introduced and there I stood with hundreds of eyes just staring at me. I know this is just an everyday occurrence for school leaders but it was certainly out of my comfort zone!! We went through the roles and responsibilities, the makeup of the board of governors naming children whose parents are governors, telling the children they should be proud of their parents for giving up time for the school, they found out how much our budget was and that we have over 100 staff at the school, we have to go on training to learn how to be a governor and that it’s all voluntary. After all 12 of the organised questions was a time for free questions and they weren’t afraid of coming forward with those. The last thing I did was a quiz to see if they had been listening, five questions with dojo’s to be given for correct answers, their hands shot up!! They had been listening! As I stood there I realised I had actually enjoyed it and that my circle of confidence had grown, all in all a positive experience and one I wouldn’t mind repeating at some time in the future. Shelly Collinson, 63, was relentless in her pursuit to provide children with good quality provision. Shelly was an active Vice Chair of Oakfield Primary School and was previously a governor at Rochdale Road Junior School, with a specialism in Looked after Children and Safeguarding: she was an asset to the Governing Body. Shelly initially started work with Humberside County Council which then became North Lincolnshire Council and managed a variety of services including Early Years Team, Day Care Services, two Children’s Homes and Children’s Centres. Married to John Collinson with three children, she was a devoted wife, mother and grandma. Family meant the world to her. In her work life she worked to make a difference to children and she carried that through in her personal life as well, right to the end. Shelly was a truly kind lady, very caring and supportive of colleagues and people she knew. She will be missed by many.